Hey, Uglies fans! The new book in the series, Impostors, is OUT NOW! You can buy it your local bookstore! Or order it online at IndieBound, Amazon, Barnes & Noble, Books-A-Million, Apple, and Google Play. There are two special editions of Impostors: hand-signed copies at Target stores, and copies with a bonus chapter at any Barnes & Noble. Want to know what Impostors is about? Here’s my Q&A from this blog. Starting September 10, I’ll be touring for my new novel set in the Uglies world—Impostors. UPDATE: I’ll also be at YallFest in Charleston, SC! Click here for all details, or use this handy map. The video does not lie. I am returning to the world of Uglies with four new novels. The first is called Impostors, and IS OUT NOW. You can get it in your local bookstore, or order it on IndieBound, Amazon, Barnes & Noble, Books-A-Million, Apple, and Google Play. Perhaps you have some questions? More of a comment than a question . . .
. . . watching that trailer, I thought it was a TV show or a movie! These are books. Four novels. We still like novels, right? Sure. But will there be a movie? Today’s news is about FOUR NEW NOVELS. Okay. Are you writing them? I know, I’ve been doing collaborations to stretch myself lately—the Spill Zone graphic novels with Alex (read them online!) and the Zeroes series with Margo and Deb—but this is a solo project. Where are these books set? Same world? Same time frame? They take place in the Uglies future, after Tally’s revolution has changed everything. As she once said, “Freedom has a way of destroying things.” The Imposters series is about dealing with the consequences of ending the Pretty Regime. The story starts in a city where things did not work out well. Bad people are in charge. Correct. But we also will travel to other cities where things aren’t all bad. This new series is about all the expressions of human nature that’ve popped up after more than ten years of social upheaval. Yes, she is a character in the world. But she’s not a point-of-view character (in the first book, anyway). She’s more like a famous person in the background. A girl named Frey, who’s been raised from birth to pretend to be someone else. She’s a body double. A bodyguard. An impostor! It’s about the roles that our parents and society force upon us, and how we fight to create our own identities, to invent selves that really belongs to us. Is that Frey in the trailer? Not really. This was more of a “Remember Uglies? There’s more!” reveal. There will be another trailer this summer that goes into the plot and characters of Impostors. FORGET COVERS ARE THEIR HOVERBOARDS IN THIS BOOK? Also lots of other cool new tech, never seen before in the Uglies universe. Spy dust, suborbitals, lupine surgery, cyranos. What do those words mean??? Why did you go back to the Uglies world after all this time? Yeah. Also I had a bunch of science fictional ideas kicking around in my head, and once I came up with Frey’s story, they all started to click. But you said four books. What are the other three about? This series mostly follow the adventures of Frey. But later on in the series, Tally (and some other familiar characters) will play a bigger role. The new Uglies world will get bigger and bigger. There will be one book a year. A book every September till 2021! Important question here: Is there any romance in Impostors? There is! But the Love Interest doesn’t know who Frey really is, of course, because she’s an impostor—like in the title! So everything is very tricky, and also our pair are from different sides politically. Hang on. A guy doesn’t really know who the heroine really is, and they’re on opposite sides? Isn’t that kind of like Leviathan? Um, Frey isn’t pretending to be a boy. But yes, I do like to play with hidden identities and complicated politics and secrets. Romeo and Juliet is a Thing for a Reason! Also, unlike with Alek and Deryn, this guy won’t take three frickin’ books to figure it out. Wait. You’re writing both sides of this dialog. So this is just you laughing at your own joke. Any other questions about Impostors? Why isn’t it call Cakes? It’s true. “Pretty” is the last word in Uglies, “special” is the last word in Pretties, “ugly” is the last word in Specials, and “cake” is the last word in Extras. So it should be called Cakes. But the cake is a lie. Why do you keep spelling it “Impostors” instead of “Imposters”? Okay. One last question . . . um, IS there ever going to an Uglies movie or TV show? I mean, who knows with Hollywood? But maybe if Impostors is a HUGE bestseller . . . If you have any more questions, put them in the comments below. It’s one year since my graphic novel, Spill Zone, launched as a web comic! To mark this occasion, my publishers are having a fan art contest. Note: If you haven’t read Spill Zone yet, you can buy it now or read the whole thing online! the chance for their art to be featured at theSpillZone.com and in the official :01 First Second Books fan newsletter. To enter, just follow :01firstsecond on instagram, and use #SpillZoneFanArtContest when you post your art. Contest ends Oct 31, 2017, aka HALLOWEEN. We’ll post the five finalists at theSpillZone.com for a short voting period, after which we’ll have something even more exciting to announce! For rule clarifications and legalese, click here. Hey, all! Two things: a new Horizon book and me at New York Comic Con! The second book in my Horizon series just came out! This is a multi-author series, and book 2 is by Jennifer A. Nielsen. It’s called DEADZONE. You can get it in bookstores, libraries, and at Scholastic Book Clubs and Fairs. Jennifer will be on tour in Provo UT, St. Charles MO, and La Grange, IL. Click here for details on those events. And click here for the buzz on the Horizon series and book 1. Here’s the cover, featuring everyone’s fave brooding loner, Yoshi! Also, I’ll be at New York Comic Con, which takes place October 5-8. Two panels, a giveaway, and a signing! Comes pick up the Spill Zone Free Comic Books Day comic (200 copies!). I won’t be there, but free stuff will be! Are you an aspiring writer and/or illustrator? This is the panel for you. Come listen to four great comics creators talk about how they got their start in the industry and give advice from their years of experience. Kelly (Moderator), Nick Abadzis, Nidhi Chanani, Scott Westerfeld, Emily Carroll. Come get things signed by me! There will be Spill Zones on sale, but bring anything! An exclusive look at new teen and all-ages titles—swashbuckling, world-traveling, magical and action-packed adventure comics! Romance and adventure await! Patricia Lyfoung (Scarlet Rose), Scott Westerfeld (Spill Zone), Nidhi Chanani (Pashmina), and Valerie Vernay (Water Memory) and Ngozi Ukazu (Check, Please!). Moderated by Adam Kullbert. Because my graphic novel, Spill Zone, just came out, I’m headed to San Diego Comic Con! I’ve got three panels and two signings. Also we’re giving away Spill Night comics & tattoos! One of the hottest genres in pop culture, YA books, movies, and comics aimed at middle-grade and young-adult audiences are creating legions of devoted fans all over the world. Join some of the most popular new voices in comics as they discuss the importance of YA, how to bring new readers to comic books, and the bright, diverse future of entertainment. Featuring Nidhi Chanani (Pashmina), Sarah Kuhn (Clueless), Tillie Walden (Spinning), Shannon Watters (Lumberjanes), Scott Westerfeld (Spill Zone), and Kiwi Smith and Kurt Lustgarten (Misfit City). Moderated by Brigid Alverson. Emotions are never more heightened than when you ae a teenager; every trial and tribulation is the end of the world. Mark Waid (Archie) finds out how to capture a teenager’s dramatic spirit with experts Dean Hale (Calamity Jack), Shannon Hale (Real Friends), Erica Henderson (Unbeatable Squirrel Girl), Victoria Jamieson (Roller Girl), and Scott Westerfeld (Spill Zone). All stories require an element of conflict, but some authors see a darker vision than others when they gaze into the future. Panelists Alex R. Kahler (Runebinder), Scott Westerfeld (Spill Zone), Cory Doctorow (Walkaway), Annalee Newitz (Autonomous), and Scott Reintgen (Nyxia) serve as guides to poisoned presents, alternative timeline apocalypses, near and far future dystopias, and other not-so-cheery scenarios with Maryelizabeth Yturralde (Mysterious Galaxy). We’ll all be signing after the panel. I’m still on tour, in Dallas at the moment, headed to Cleveland next. But I wanted to mention that for the next few events, I’ll be part of a group of authors known as Fierce Reads 2017. Since we’ll be traveling together, appearing together, and eating together for more than a week, I thought I’d get to know them first. Strangest reaction you’ve ever gotten to your book? What were you doing when you found out you were going to be published? For details of all Fierce Reads events, click this link. To check out the rest of my tour, click here. Hope to see you all on the road! A quick reminder that I’m touring now for my upcoming graphic novel, Spill Zone, and my new middle grade, Horizon. You can go here to my Appearances page for all the gnarly specifics. Hope to see you on the road. I’ll sign anything! My new book, Horizon, is out today, March 28! A group of Brooklyn kids on a robotics team are flying to a competition in Japan. But on the way their plane is seized by a mysterious force and crashes. When they step from the wreckage, they find themselves stranded, at odds, and in a jungle full of strange and terrible creatures! Basically, it’s like Hatchet, but geekier. And like Lord of the Flies, but way less depressing. And like Lost, except the characters are lost but the writers aren’t. Explosions! Survival! Who will lead them home? “Standalone”? I barely even know what that word means. The second installment is by Jennifer A. Nielsen, and the other authors are secret for now. But trust me, there are some cool people involved! There’s a Horizon game for computers, phones, and tablets. Download through your phone/tablet store or play through your browser right here. Also at that link is a big community of other fans exchanging clues and secrets and game hints. 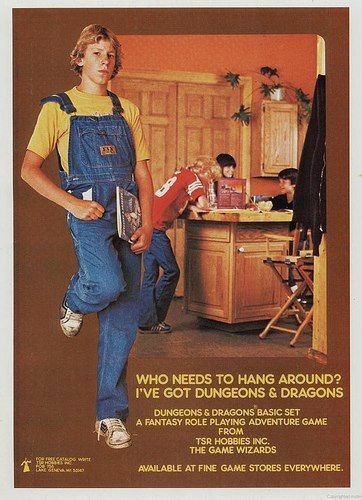 I’m a gamer from way back (me in the 1970s, basically) so the game has been a blast to work on. My robotics team characters are based on the smart, nerdy kids I hung out with around the gaming table. Here’s a discussion between me, my editor, and the game’s designer on the Scholastic podcast. Wasn’t This Book Supposed to Come Out a While Ago? Yes, January 17. But the super high-tech, fancy cover broke the printing factory, so it was delayed. That’s life on the cutting edge, my friends. Our scientists were so preoccupied with whether or not they could make this cover, they didn’t stop to think if they should. Are You Touring for this Book? Yep, I’m headed all over the country for both this book and Spill Zone, my graphic novel. All tour details can be found right here. Cities include: Holmdel NJ, Canton CT, Collegeville PA, Raleigh NC, St. Louis MO, Pasadena CA, Menlo Park CA, Washington DC, Athens GA, Buford GA, Dallas TX, Parma OH, St Paul MN, Santa Cruz CA, Toronto Comic Arts Festival, Austin TX, Coral Gables FL, Rhinebeck NY, and New York NY. Fairly high middle grade. In other words, it’s closer in age and feel to my Uglies books than, say, Zeroes. Read and excerpt or buy the book online by clicking here. I have two books out in Spring 2017, Horizon and Spill Zone, and will be touring for both of them! Click here to find out if I’m coming to your city!